Roxanne Schreiber, Ph.D. is a licensed psychologist. She received her doctorate from University of Southern Mississippi and completed her clinical residency at the Oklahoma Clinical Health Consortium in Norman, Oklahoma. Dr. Schreiber has been working with children and families for the last 19 years. While obtaining her Bachelor’s Degree in Psychology and Family Studies she worked full-time in a residential treatment center for children and adolescents. In the capacity of a Unit Supervisor, Dr. Schreiber was responsible for training and supervising the clinical staff to provide therapeutic services to the children and adolescents residents. Furthering her clinical experience Dr. Schreiber then worked for Children Protective Services, providing ongoing investigative and case management services. Transferring to Community Mental Health, Dr. Schreiber spent the next three years, writing and implementing therapeutic programs for children and families in a 23 county catchment area. Dr. Schreiber then received a full academic scholarship to attend the University of Southern Mississippi, where she completed her Master’s and Doctorate degrees in Psychology. Her Clinical Residency included full-time rotations in a Child Guidance Clinic, a College Counseling Center, and a Rehabilitation Hospital. During the course of her academic career, Dr. Schreiber has presented at numerous state, national and even international conferences. She has published several articles in peer-reviewed journals including the Journal of College Counseling and the Journal of Counseling Psychology. After obtaining her Ph.D. in Psychology, Dr. Schreiber was a professor at Texas Tech before joining a large private practice in the Houston area. 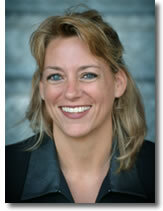 She has been in private practice since 2000 and specializes in children, families, individuals, couples, and groups. Dr. Schreiber currently provides communication seminars for adolescent daughters and their mothers as well as communication seminars for couples. Utilizing aspects of brain science Dr. Schreiber helps mothers and their daughters reconnect and recreate relationships that are based on understanding and effective communication. Gender differences as illustrated in the latest brain research are also utilized to help couples develop more effective modes of communication and interaction. Most recently, Dr. Schreiber has created a unique approach to therapy, synthesizing psychological theory with the latest cutting edge brain research. Utilizing this approach, Dr. Schreiber has created empowerment seminars and empowerment groups in which participants are trained in accessing their full potential utilizing the inner workings of the human brain. Dr. Schreiber’s commitment is that each client is empowered, honored, and supported in accessing their full potential. Her life’s work is that people tap into their inner greatness and that this greatness gets expressed into the world.